Indulge your skin with GUERLAIN’S collection of nourishing and deeply hydrating moisturisers. 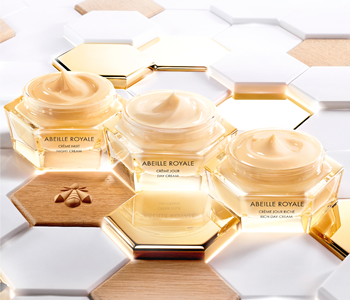 The GUERLAIN Moisturiser collection comprises utmost luxury with unparalleled potency that will help you to perfect, lift and nourish with age-defying formulas that will moisturise skin and cater to you. From much-loved icons to innovative, skin-quenching newcomers, infuse luxury into your routine and take your pick from carefully-crafted treatments that will breathe new life into your skin.